A wet basement is more than just a nuisance and waterproofing against it becomes more than just a necessity. Not only can a wet basement lead to serious structural damage to your home, but it contributes to the growth of mold and poor air quality that can make your family sick. Additionally, wet basements are believed to trigger allergy attacks, asthma-like conditions, headaches and coughing as a result of the mold growth and poor air quality. The fact is that the problems in your wet basement, don’t stay in the basement. They spread throughout your entire house and have the potential to infect your family. Guardian utilizes today’s most advanced waterproofing materials to apply a superior multi-layer foundation seal that permanently eliminates water and moisture penetration, uncompromisingly maintaining the integrity of the structure. 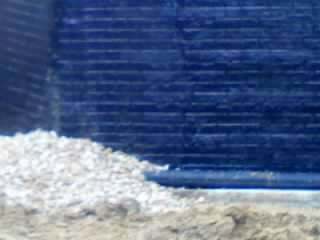 J-Cote spray Application Waterproofing Membrane. 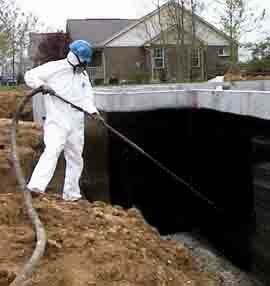 J-Cote Foundation Waterproofing is a polymer modified asphalt membrane. Applied to any substrate, it will dry to a smooth, tough and nearly rubber like film. It’s permanent elasticity allows it to move with created expansion and contraction of wall surfaces. As the foundation settles over time, J-Cote bridges cracks (up to 1/16″) to maintain a watertight seal so water will not seep into the basement. 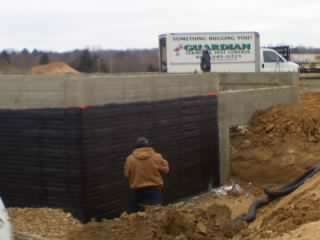 The result: your new home gets a dry basement. J-Cote foundation waterproofing resists water and freeze thaw cycles enabling it to protect foundations from water seepage. A dry basement means less worries about mold and moister problems that could arise from an improperly or poorly waterproofed foundation. If your new home foundation is protected with J-Cote Foundation Waterproofing you are assured of building a quality, dry basement. Our exterior waterproofing and drainage methods are unsurpassed, we are pioneers of perfection in the waterproofing industry. The important difference is in the materials used to waterproof the foundation. Most companies are using the same sealant that was being used twenty years ago- tar. Tar is not waterproofing, it is damp proofing. Tar cannot expand and bridge future cracking. Very quickly tar loses it’s elasticity and cracks. With the seal compromised, the whole process leading to water penetration and structural deterioration begins. Problem: If the ground around a foundation is level or slopes toward the house, water is directed into the basement. The soil next to the house is often backfilled without proper compaction and later settles. This is especially true under stoops where water can collect next to the basement wall. Problem: Missing gutters and downspouts cause rainwater to be directed toward the foundation perimeter. A downspout without an extender or splashblock is worse than no downspout at all. It is depositing the huge volumes of rainwater from the roof in a single concentrated location near the basement. A great number of basements water probems can be solved by handling rainwater and surface drainage properly using gutters and downspouts with extenders and splashblockes to carry the water away from the foundation. 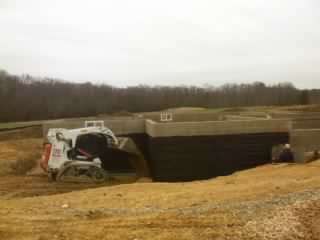 Sloping the grade away from the house, which may require hauling fill to the site, is very important. This should be done before any below-grade drainage system is installed, since the above-grade corrections may solve the problem. Even if a drainage system is required, removing water at the source as much as possible is necessary. Installing an exterior drainage system at an existing building is the most costly, but also the most effective water control approach. This requires digging up the area around the foundation and rebuilding it similar to a new house installation. It also requires digging up shrubs and other obstacles around the house. Usually, waterproofing and insulation are installed at the same time, in addition to making any repairs to the structure. The traditional exterior drainage system used free-draining sand in the backfill. Drain tile can be placed beside or on top of the footing. Level drain pipe installations are satisfactory. A minimum of 12 inches of coarse aggregate should be placed around the drain tile. Guardian Termite & Pest Control with it’s advanced waterproofing systems and Guardian Construction with it’s mold remediation expertise, combine for a strong integration and utilization of today’s most advanced waterproofing materials and highly developed mold remediation and mold prevention products, is a key component of the companies ability to provide superior workmanship, quality and performance. Our master waterproofers and certified mold remediation experts implement unsurpassed basement waterproofing methods and Professionally apply scientifically advanced mold removal products that will permanently eliminate water intrusion, neutralize mold infestation, and prevent recurrent mold growth. Inevitably meeting our objectives of providing our customers with a healthy, strong, total moisture control solution for the life of their structure.